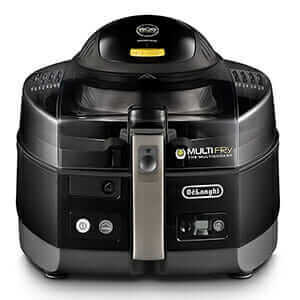 Deep Fryer vs. Air Fryer: Which Is Best? If you’re looking for an oil less turkey fryer, we’ve made this Oil Less Turkey Fryer Comparison Chart of the two best oil less turkey fryers. With so many oil less turkey fryers on the market, it’s hard to decide which one to go for. Luckily, we did a lot of research for you and we’ve managed to come to two of the best oil less turkey fryers. Both Butterball and Char-Broil are big names when it comes to turkey fryers. Of course, they each have their features that make them different and better in comparison to other turkey fryers on the market. 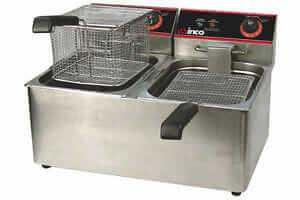 However, in comparison to one another, these two oil less turkey fryers have their pros and cons, they offer superior quality and performance each in their own way. If you want to find out what makes these two turkey fryers the best out there, as well as the differences between them, keep on reading. First, it’s important to note that both of these turkey fryers are oil free turkey fryers. Also, they’re both designed for outdoors use only. Being that they’re oil free turkey fryers, they allow you to cook your turkey, chicken or whatever meat you choose, without any grease whatsoever. Finally, before we move on to the comparison chart, let’s mention some of the basic information considering each oil less turkey fryer. 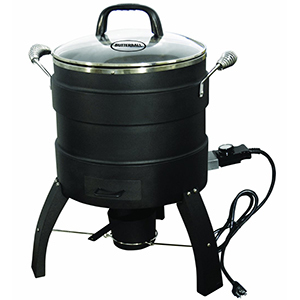 This oil less turkey fryer is large in capacity, uses no oil and is designed with infrared technology. As we’ve mentioned, it’s for outdoors use only and it requires a propane tank. The thing about Char-Broil The Big Easy is that it’s versatile and delivers superior results. Of course, the turkey fryer is easy to use since it includes everything you need. For example, a removable grease tray comes in handy when frying, as well as when cleaning your turkey fryer. If desired, optional accessories are available and aren’t expensive. Finally, The Big Easy prepares anything from whole chicken, duck, turkey, chicken wings, thighs, pork loins and chops, to leg of lamb, kabobs, sausages, etc. 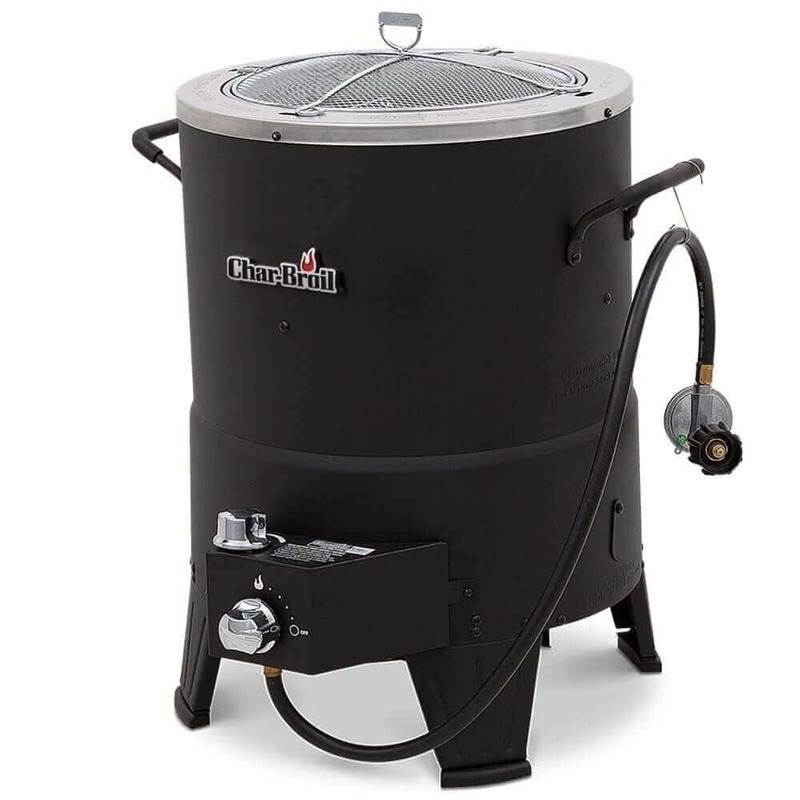 When speaking of Butter﻿ball Oil Less Turkey Frye﻿﻿r we must mention that it’s even larger in capacity in comparison to Char-Broil The Big Easy. Also, this turkey fryer is completely electric, therefore it requires no gas or propane tank. If you’re looking for greaseless cooking, Butterball is just as great choice as The Big Easy. Even though, Butterball Oil Less Turkey Fryer comes with no extra accessories, it still delivers excellent cooking results. 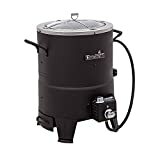 On another note, this turkey fryer features a built-in wood chip box that makes a great difference in taste, adding that delicious smoked flavor. In summary, Butterball Oil Less Turkey Fryer performs equally as good with any kind of meats, chicken, potato, turkey, ribs, pork, duck, etc. As you can see, both of these oil less turkey fryers are packed with great features. Their pros show their performance and the results they deliver. While Char-Broil The Big Easy is versatile and uses infrared technology, Butterball Oil Less Turkey Fryer also steams and boils, and requires no propane tank. Of course, with pros come the cons as well. Luckily, the only thing these turkey fryers struggle with is maintaining the temperature in extreme climates. As you understand, this is definitely not a deal breaker. When talking about the type of a turkey fryer it all comes down to your personal preference. It’s important to understand that this doesn’t make any difference in taste. More so, it only comes to whether you want to use gas or not. If you don’t already own a propane tank, investing in one is an additional cost if you’re interested in Char-Broil The Big Easy. Accessories make an important factor to consider when buying an oil less turkey fryer. If you look at the comparison chart again, you’ll see the difference in these oil less turkey fryers when it comes to this factor. 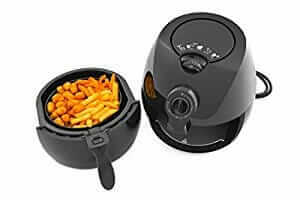 More precisely, B﻿﻿utterball Oil Less Turkey Fr﻿﻿yer comes with more accessories, while Char-Broil The Big Easy offers quite a number of accessories that you can buy separately. We’ve already mentioned that The Big Easy requires propane tank while Butterball Oil Less Turkey Fryer doesn’t. Think about if you’re comfortable using gas when choosing between these two turkey fryers. What’s interesting is that both turkey fryers are similar in weight and capacity. Of course, there’s a difference. While Char-Broil The Big Easy is heavier, Butterball Oil Less Turkey Fryer is of bigger capacity, as you noticed in our comparison chart. Simply, think about how many people you’d be feeding at once to help you make the decision. As for the heating source, Butterball Oil Less Turkey fryer uses 1,650 Watt electric element while The Big Easy runs on propane. As we previously mentioned, this is only a matter of your preference. Finally, note that there’s quite a difference in warranties when comparing these oil less turkey fryers. This can make or break the deal for some people, so make sure to give it a good thought. In summary, we hope you’ve found our Oil Less Turkey Fryer Chart helpful. Our intention was help you decide on what’s the best oil less turkey fryer for you. Of course, there’s no better way than comparing the two best oil less turkey fryers that exist. As you noticed, they’re similar in some areas, but very different in others. No doubt, this means one may fit a certain family that the other doesn’t and the other way around. Read and think about all these factors we’ve listed to see which one is better for you. Do you own Char-Broil The Big Easy or Butterball Oil Less Turkey Fryer? Which one of these oil less turkey fryers is better in your opinion? Please, feel free to leave a comment below. CHAR-BROIL 14101480 Oiless Infrared Turkey Fryer, 20.3" x 17.7" x 17.7"
What Can You Cook In An Air Fryer? 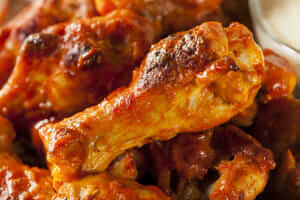 How do Air Fryers Work? Get daily tips and tricks for making your home better. Get exclusive recipe and tips from HomeKitchenLand delivered to your inbox.